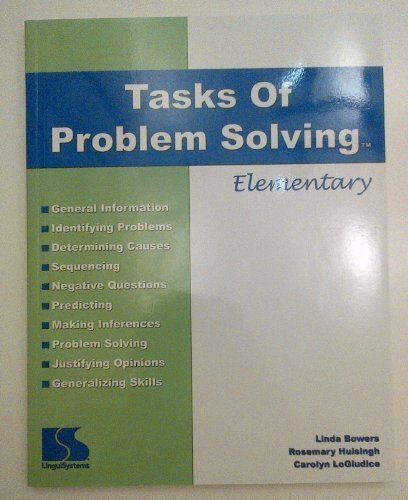 Book was developed by the authors of Test of Problem Solving (TOPS) to help students become more thoughtful or to practice the language patterns they need to express their ideas fluently. For teaching and remediating expressive language and problem solving skills. Includes instructor's guidelines & student activities for the following: making inferences; predicting; determining causes; sequencing; negative questions; problem solving; general information; identifying problems; justifying opinions; generalizing skills. Reproducible pages. Kit contains book and CD.